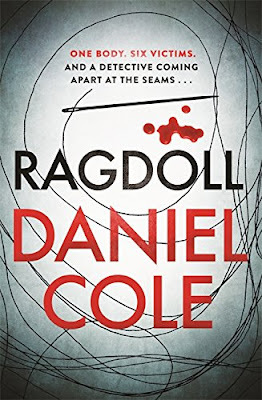 One body, six victims gives a little hint of the darkness lurking within the pages of Ragdoll. 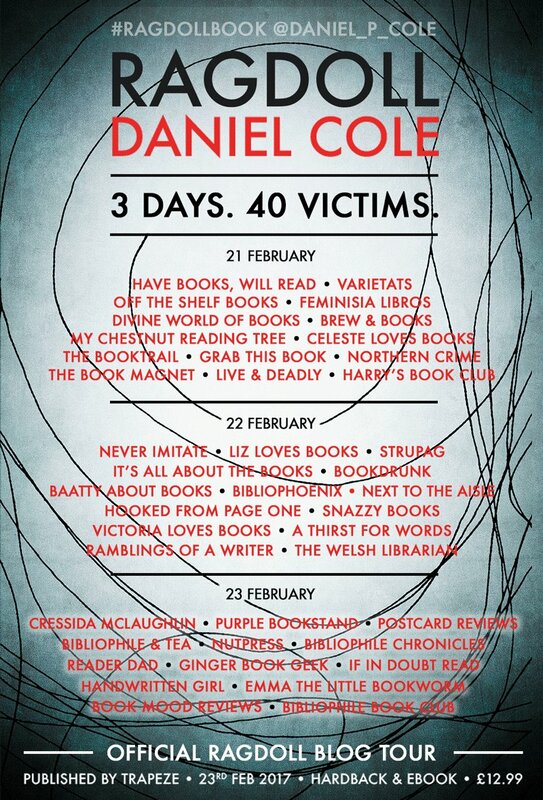 I am thrilled to repost my review as part of the 3 days 40 victims blog tour. There was lots of excitement surrounding this book on Twitter so I joined the long queue on NetGalley for a review copy. 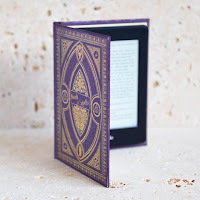 As soon as it dropped onto my kindle, I thought I would have a sneaky peak - BIG MISTAKE! I was hooked after reading the prologue and couldn't have put it down if my life depended on it. Ragdoll starts with the trial of 'The Cremation Killer', caught by Detective William Oliver Layton-Fawkes, aka Wolf. I don't want to give anything away from the prologue, which is amazing, so the story begins 4 years later. Wolf receives a call to attend a crime scene right on his doorstep. As he enters the flat he has been summoned to, he finds a macabre display: a body wired to the ceiling in an unnatural pose. On looking a bit closer Wolf sees that this one body comprises 6 victims, each crudely stitched to the other, but the most disturbing thing is that the fingers of one hand are pointing out of the window...to Wolf's apartment. EEEEK! When Wolf's ex-wife, Andrea, who is a journalist, receives a list of names and dates of the next 6 victims, the clock begins ticking in the hunt for the 'Ragdoll Killer'. Seriously, is this book a debut? I bet the tv stations are kicking themselves at rejecting the script of 'Ragdoll'. So very dark, gripping and vivid, I can't wait to read more about Wolf. I've kept my review purposefully short as to write any more would give away some of the plot. My mind was racing and my heart was pounding - sure signs of a superb debut. Oh wow. What a creep-fest. I have to see if it's still available on NG.